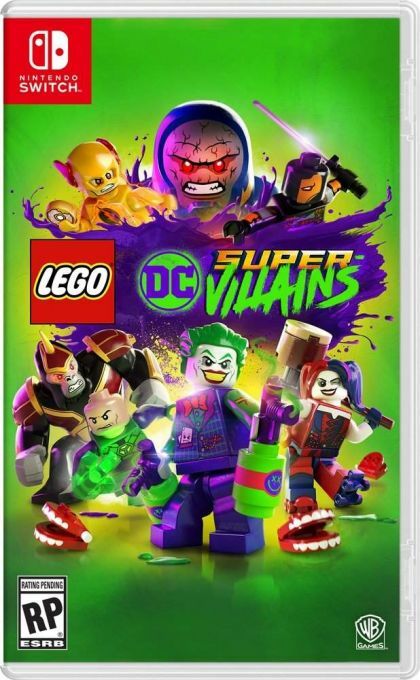 LEGO® DC Super-Villains is the first LEGO game to put players at the center of a villain-centric adventure packed with favorite locations and characters from across the DC universe. For the first time, a LEGO game is giving players the ability to create and play as their own DC Super-Villain throughout the game. Their character becomes the center of the story, while teaming up with an iconic variety of villains to adventure through the hilarious and original story written in collaboration with DC. In LEGO DC Super-Villains, the Justice League has disappeared, leaving Earth's protection to a newcomer group of heroes from a parallel universe, proclaiming themselves as the 'Justice Syndicate'. Renowned DC Super-Villains from the 'Legion Of Doom' discover Earth's newest heroes may not be the heroes they claim to be. With each player's completely customizable Super-Villain character in command, this team of misfit lawbreakers must join forces to discover and foil the evil plans the incognito strangers have in store.